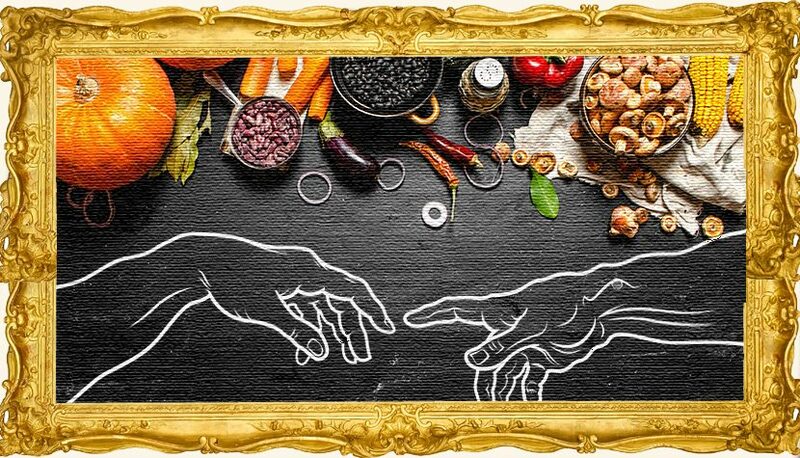 Can Creative Food Marketing Trigger a Sales Renaissance? When most manufacturers imagine it’s time to call in some innovative food marketing ideas as a starter fuel for sales, they’re probably on the cusp of launching a new product. But what about when it comes to existing products? Longstanding or even, perhaps, steadfast category leaders? Can an innovative marketing twist alone, without some crazy R&D investment or dramatic product changes, really make a splash or spark a sales renaissance? You can introduce a new flavor variation, ala Pringles® potato chips, or promote your food product as an ingredient — a move that has a lot to do with the incredible growth of various bacon brands over the past 10 to 15 years. But, here, we’ll get even a little further outside the box and look at three prime examples of how you can reinvigorate sales with some food marketing innovation. A classic case study in how to reinvent a CPG product using nothing but marketing genius can actually be found a few aisles down from food, in the pharmacy section. That’s where, years ago, Vicks® introduced a new cold remedy that was not only a me-too product, but worse, didn’t market test well because of a big drawback. Rather than go back to the drawing board, Vicks repositioned the product as a “night-time cold remedy to help you sleep” and effectively created a new category that Vicks’ NyQuil still dominates today. Right now, dark chocolate — yes, the centuries-old center of mankind’s sweet-tooth universe — is poised for a renaissance. 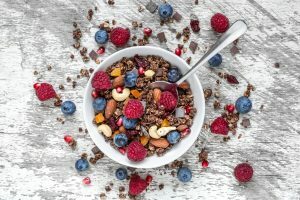 As one published study after another testifies to the product’s health benefits, including its rankings for antioxidants and probiotics, one consumer-trend report after another is shining a light on the high demand for more natural, healthy foods. The timing couldn’t be better for a chocolate brand — be it a startup or even a long-time corporate giant — to explore some innovative marketing ideas that might disrupt the candy shelf or, heck, even plant a stake in another category altogether. Let’s stay on chocolate for a moment. If it’s healthy, and breakfast is the most important meal of the day, maybe chocolate can be positioned as something more than a cereal or Pop Tart® flavor. Or, let’s say you market a brand of ham. If looking to ramp up sales, where do you turn in the face of a longstanding market challenge that has ham entrenched as a holidays-only choice among consumers? Develop a campaign that targets breakfast? Perhaps. People like eggs Benedict. But what about all those individuals who crave holiday-ham leftovers by the light of the fridge? Maybe a more innovative marketing angle that could inspire a real ham-sales renaissance would actually involve targeting an entirely new daypart — the midnight-snack category. Some of the biggest breakthrough sales opportunities for an established product involve nothing more than launching, right alongside that product, a replicated version with a new face and a new price tag. After a few small investments in its existing packaging equipment and only an incremental cost in product development, NewPoint client, Happy Apples, introduced a new gourmet-style brand of its already well-known line of caramel apples. Not only did the higher-end, higher-priced brand earn its own place on the shelf, while yielding a higher margin, but it opened up completely new retail sales opportunities in more upscale specialty stores where the original brand couldn’t go. Meanwhile, at the point of sale, the original gets a second look that it might not otherwise get, simply because of the price comparison. What Food Marketing Innovation Will Spark Your Sales Renaissance? Despite the decades of “new & improved” campaigns that might say otherwise, the key to energizing sales of an existing product could have nothing to do with your capabilities as a manufacturer. On the contrary, if you’ve built a successful brand, making product changes is most likely the last move you want to make. Just ask Coca~Cola. Instead, put your food marketing cap on and open up your mind. The possibilities are endless and, often, mysteriously obvious. You can even get some insights straight out Patrick Nycz’s book, Moving Your Brand Up The Food Chain™. If you’d like a tour guide on the path to finding inspiration for your product’s sales renaissance, give NewPoint a call. Lifeway Foods and Whole Foods Market Answer: What Are Food Buyers Looking For? What makes a quality website?